Melinda was born in the year 1964 in Dallas, Texas. She is a Roman Catholic by religion. After her MBA from Duke’s Fuqua School of Business in 1987, she joined Microsoft and worked in many multimedia and interactive projects in Microsoft. Gates worked for around 9 years with Microsoft. 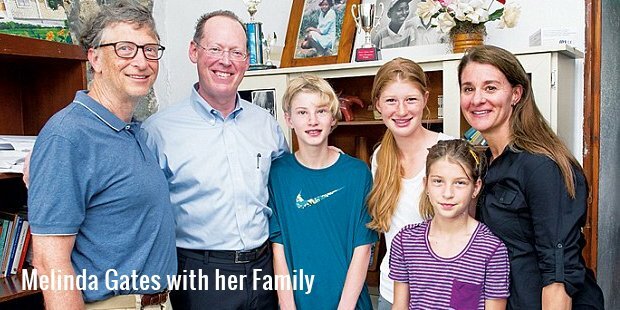 For the first 14 years of her marriage to Bill Gates, Melinda stayed in the background. But later she started trusting herself post a grueling sabbatical. Melinda started being more available to the people around. She worked significantly for the welfare of the needy all her life. She is one of the strongest women in the world. Gates was the member of the Board of trustees at Duke University for seven years from 1996 to 2003. Melinda and Bill Gates received an award from Jefferson awards for Greatest Public Service benefiting the disadvantaged. They were also named as ‘The People of the Year’ by Time. The couple was awarded the Order of the Aztec Eagle for their great work around all over the globe in the field of health and education. She and her husband Bill Gates received numerous awards and recognitions in their life till date. Melinda met Bill Gates at a PC trade show in Manhattan and the couple dated for 6 years before getting married in 1994. They have 3 children, two daughters and one son. She left Microsoft after marriage in order to look after her family as the busy work schedule was keeping her away from her family commitments. This made her leave Microsoft. 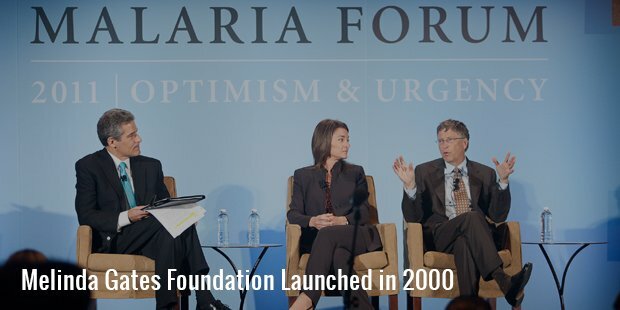 Melinda and Bill gates together started the William H. Gates Foundation along with Bill’s father in 1994. They collaborated this foundation with their two other charitable organizations and named it the Bill and Melinda Gates Foundation. The foundation makes the people live a peaceful life. In the past few years, Melinda has become a vocal advocate of teaching the idea for women to decide whether and when to have children. Melinda’s work inspired and motivated other big donors and changed the way her donors or fundraisers thought about effective philanthropy in the world. Life was not always a cakewalk for her. Raised in a middle class family, Melinda was a very hard working young woman. She took charge of her work very efficiently. She always kept her family and professional life away from each other. This is the primary reason for her strong relationships with her family. 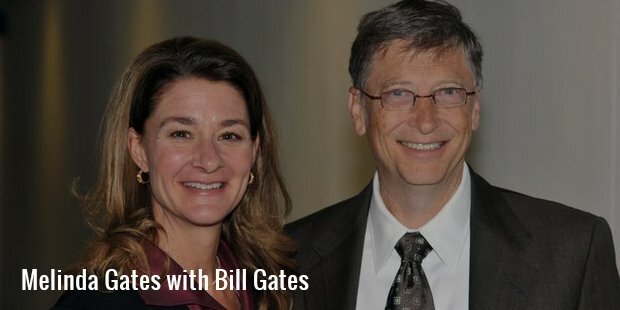 Melinda Gates is a strong entrepreneur, a great wife and a doting mother. If you are successful, it is also because someone would have given you a life or an idea that started you in the right direction. It’s not easy being rich. 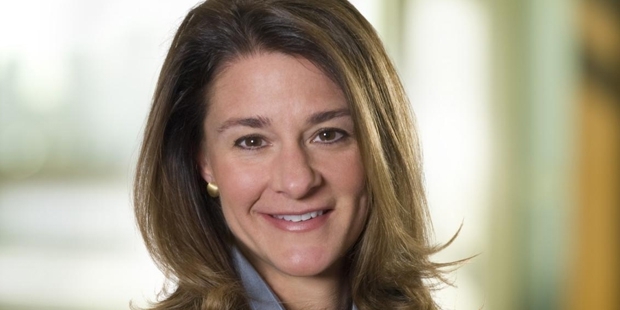 Melinda Gates is an American businesswoman and a philanthropist. She is the wife of Bill Gates and also the co-founder of the Bill & Melinda Gates Foundation. She works as a Project Manager for Microsoft Bob, Microsoft Expedia and Microsoft Encarta.